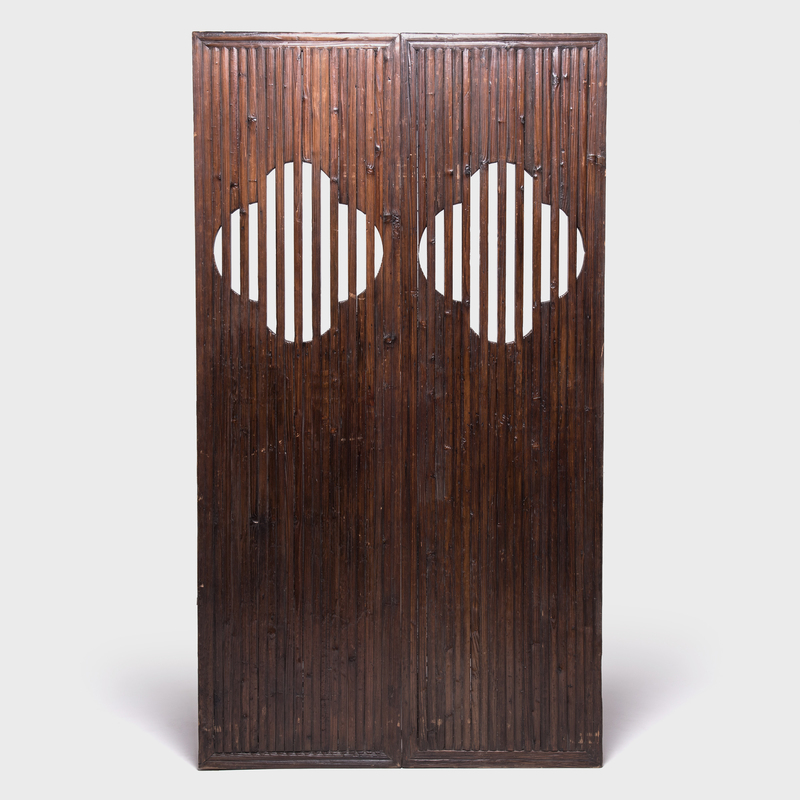 W: 64.0" D: 2.0" H: 125.75"
This pair of monumental 20th century doors from Beijing measure over 10 feet in height and feature graphic braces and star medallions that were communist symbols during the Mao era. 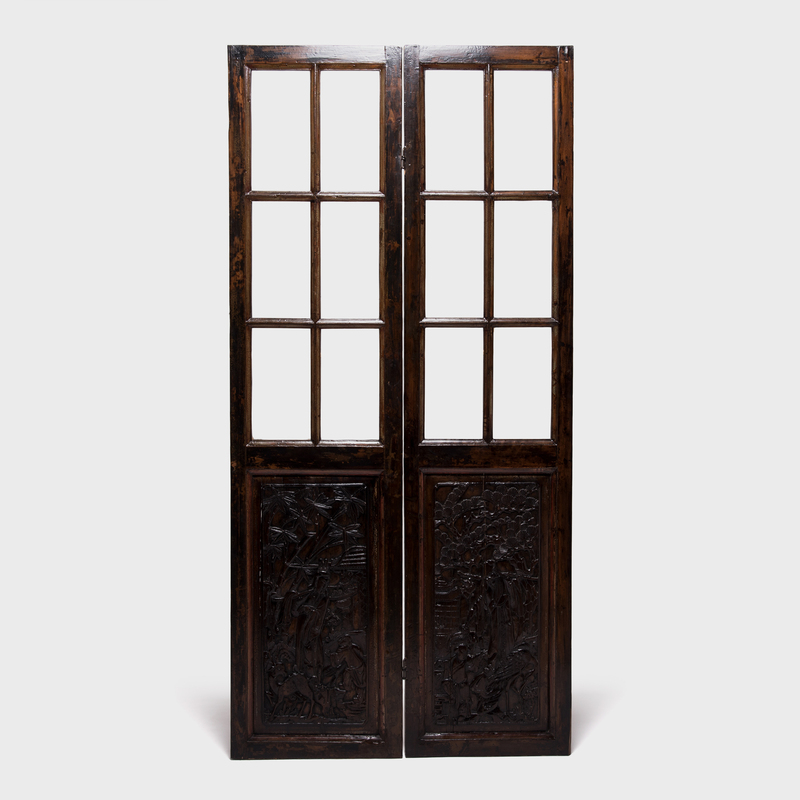 Their original Beijing red lacquer has mellowed over time. 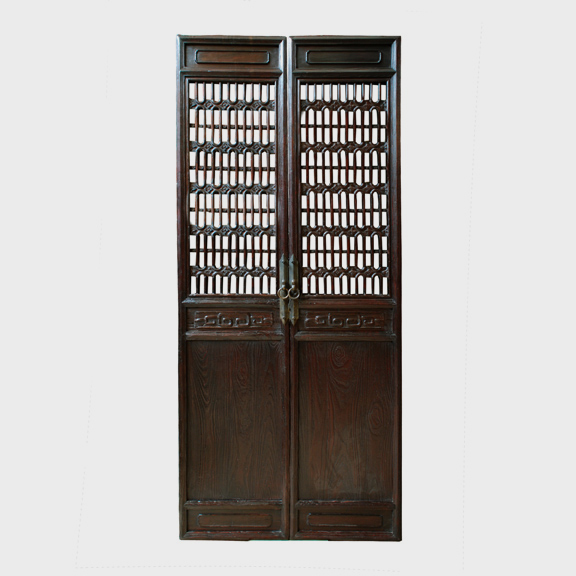 One door has a smaller passage door that hinges and opens through the lower section. This was an ingenious way for an individual to enter the property without having to bear the weight of the entire door. 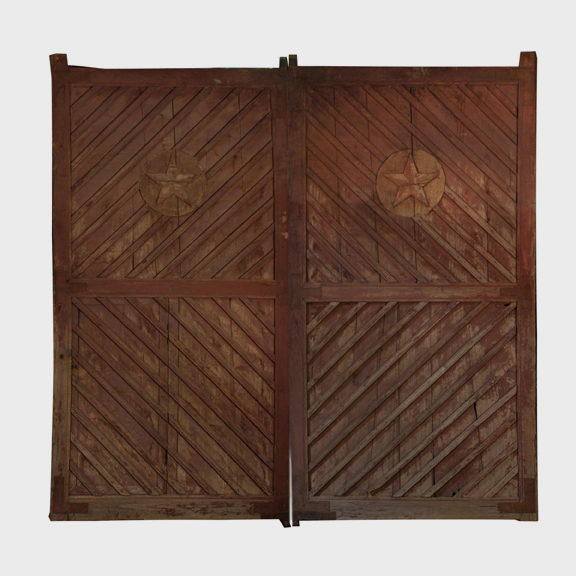 When large carts or wagons needed to enter, the entire door could be opened. 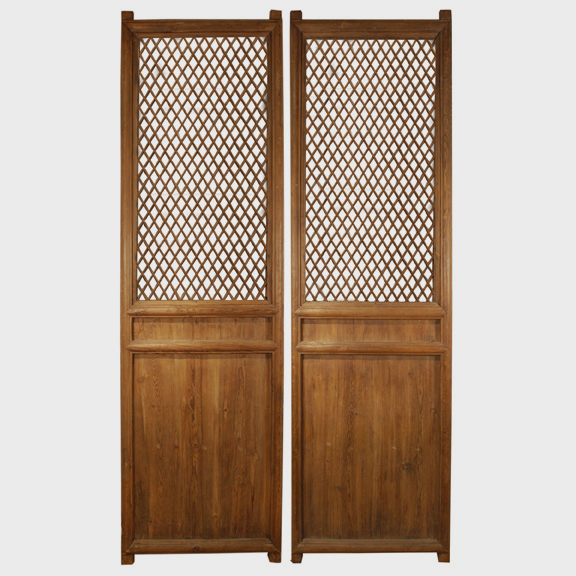 The protective corner mounts are hand-wrought iron. Dimensions listed describe an individual door.